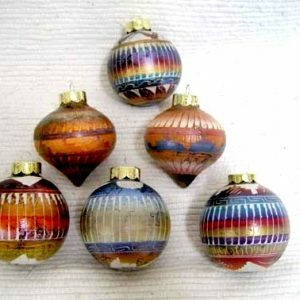 PRICE SHOWN IS FOR 2 ORNAMENTS. 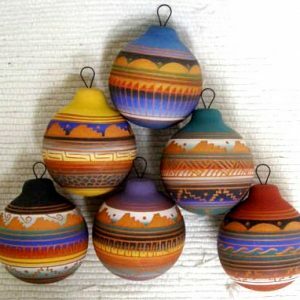 These elegant Christmas ball ornaments are hand built & hand painted by Mata Ortiz resident Rosa Mora. 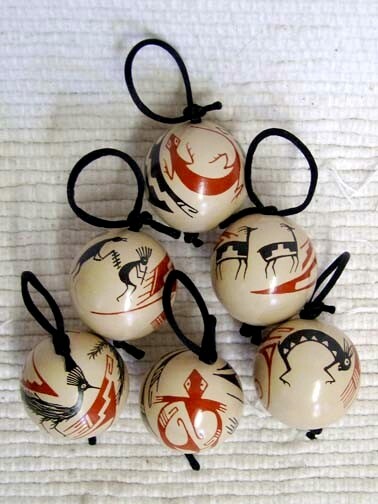 These ornaments measure 1.5 inches in diameter & have various Mimbres and animal life designs. 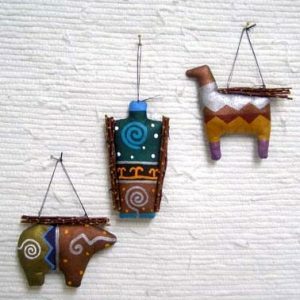 Each one is unique and will vary in design and color. 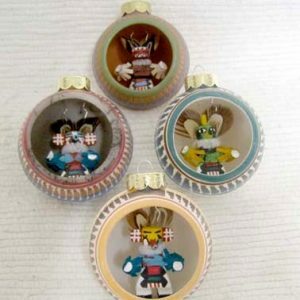 PRICE SHOWN IS FOR 2 RANDOMLY SELECTED ORNAMENTS OF DIFFERENT DESIGNS. Not Sold Individually.